I was poking around in the cranberry bog by my house when I stirred up this little pyralid. 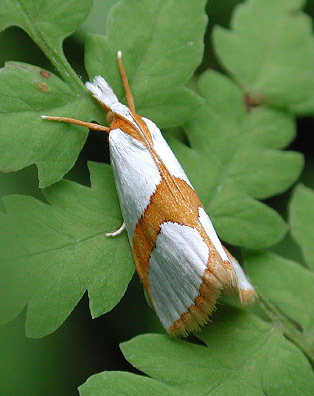 I've come across this moth in my yard, too. Look at the white tips on its front tarsae. Incidentally, no one knows what the caterpillars of this species feed upon.